Mattress depth 22cm (8.7") approximately. This item benefits from a 1 year guarantee followed by a 9 year warranty. 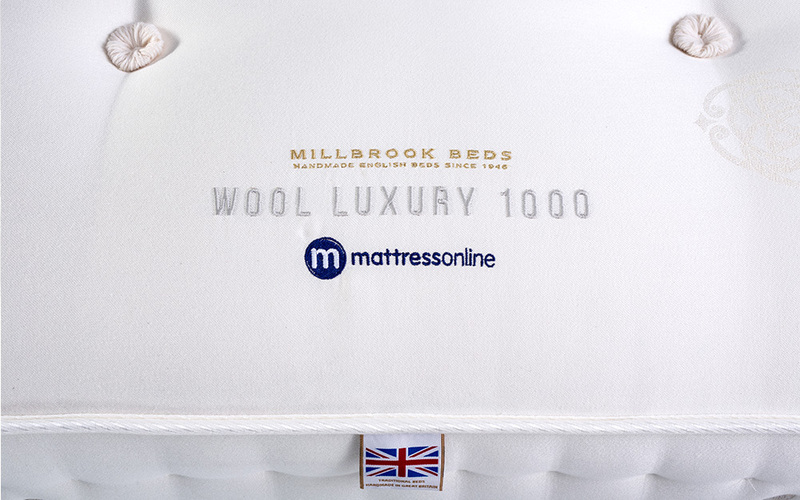 Experience luxury comfort with the Millbrook Wool Luxury 1000 Pocket Mattress. Crafted from layers of the finest Hampshire fleece wool, this is a mattress that has been designed with your comfort in mind. A single black Hampshire wool tuft signifies the inclusion of this luxury wool inside the mattress. Thicker and fuller than typical wool, Hampshire wool is naturally soft and springy for a more comfortable night's sleep. 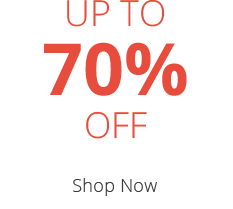 It's highly breathable too, so it keeps you warm in winter and cool in summer. Blended with layers of cotton, the Wool Luxury 1000 is the ideal choice if you're looking for natural comfort. Traditionally hand-tufted and double-sided, this is a truly premium mattress. Looking for a mattress that supports you - but isn't super-firm? You've found it. 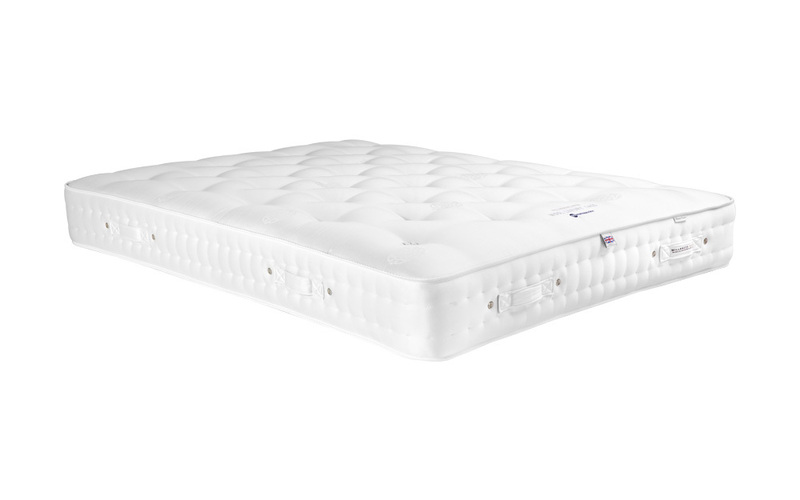 This mattress is the ideal balance of comfort, in a medium level of support, for the best of both worlds. 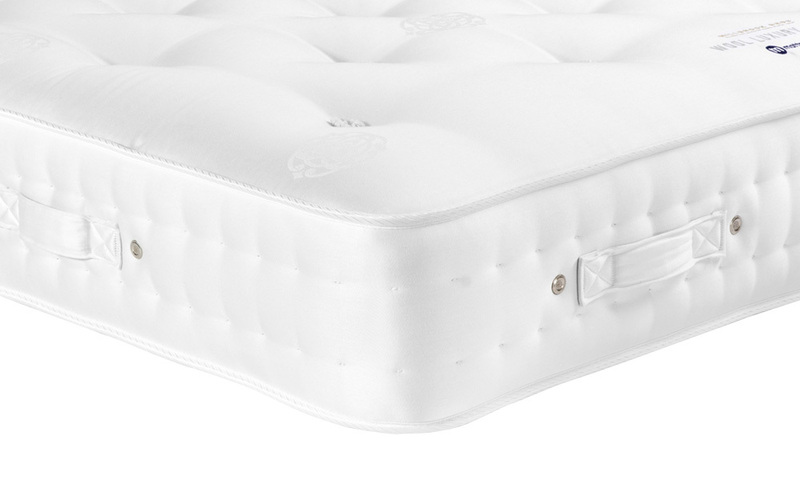 Featuring 1000 individually hand-nested pocket springs, the Wool Luxury 1000 supports you where you need it the most. 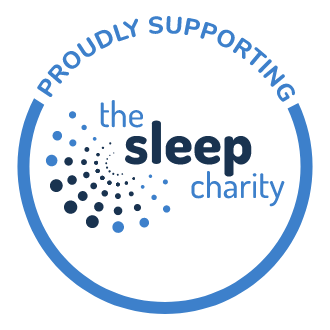 Helping to reduce the transfer of movement, pocket springs are the perfect support system if you're looking for a more peaceful night's sleep. Plenty of sleeping space is important. 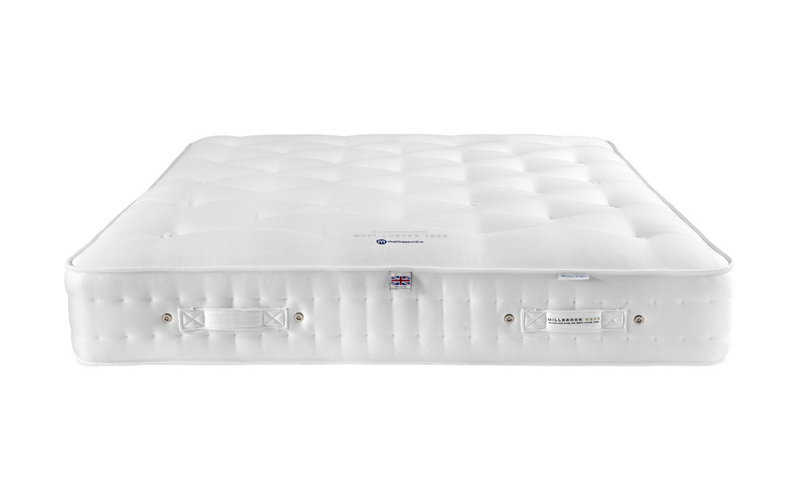 Enjoy edge-to-edge support and more space to sleep thanks to the reinforced mattress edges. 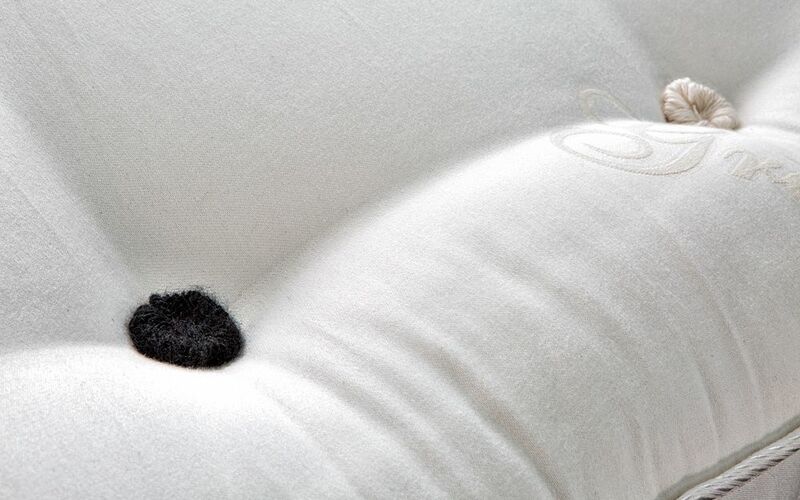 Complete with two rows of stitching along the mattress sides, this ensures that all those plush fillings are securely held in place. It's a mattress that looks as good as it feels. All wrapped up in a premium Egyptian cotton cover, the Wool Luxury 1000 is a beautiful addition to your bedroom. This is a double-sided mattress, so we recommend that you flip it regularly to keep it in the great condition you expect. It's easy to turn your new mattress: simply use the turning handles provided. 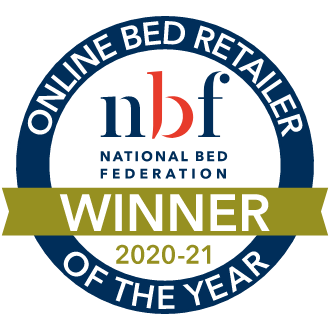 Expertly handmade by skilled craftspeople in the UK and approved by the National Bed Federation, this mattress has been made to the highest quality standards. This Millbrook mattress comes with a 10 Year Warranty. In order to benefit from this warranty, please ensure that you register your new product within 60 days of your purchase date. A top quality mattress at an excellent price. The detailing makes it look really special and it is so comfortable. Would definitely recommend and I would now always go for one of these. Love the black woolly button in amongst the flock of woolly white buttons! Wish I didn't have to cover it up, but it will make me smile every time I change the bed! My mattress is a little firmer for the rating.good for back a little uncomfortable for seniors,side sleepers.